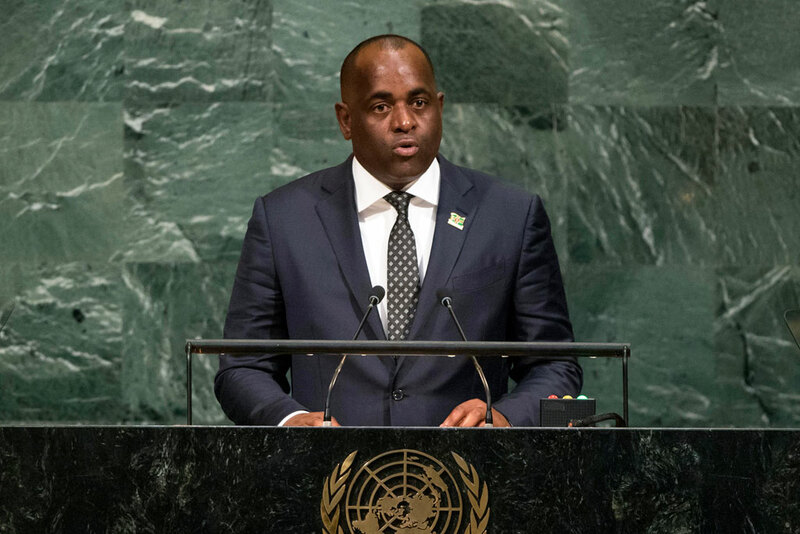 Pleading with all countries in the United Nations General Assembly – large and small, rich and poor – to come together to save our planet, the Prime Minister of Dominica, where the landscape, ravaged by back-to-back hurricanes “resembles a warzone,” said his and other islands in the Caribbean need help now to build their homelands back better. Just two years after powerful tropical storm Erika had ripped through the region – leaving his country, known as ‘nature island’ a land of dirt and dust – he said Dominica, the Bahamas and others had been ravaged by perhaps the worst hurricane season on record, with Irma and Maria leaving loss of lives and livelihoods, and as yet untold damage. 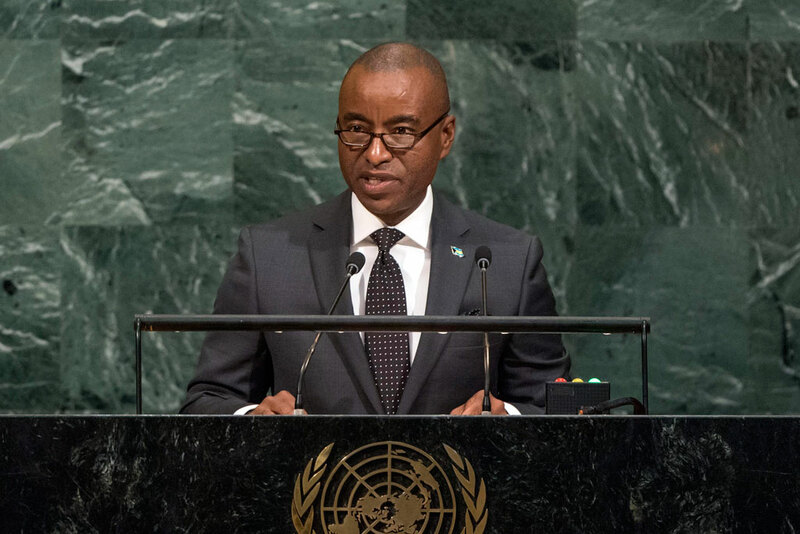 Mr. Skerrit said that warmer air and sea temperatures have permanently altered the climate between the tropics of Cancer and Capricorn. Heat is the fuel that takes ordinary storms – “storms we could normally master in our sleep – and supercharges them into a devastating force. The most unfortunate reality, he said, is that there is little time left to reverse damages and rectify this trajectory. “We need action and we need it now,” he said. “With what we have witnessed just recently with the passage of hurricanes Harvey, Irma and now Maria, I cannot underscore sufficiently the importance the Bahamas attaches to combating climate change, and the preservation and protection of the environment,” he said. Stressing that “climate change is global,” he emphasised the damage that hurricane Irma had in the Bahamian archipelago. Indeed, while the Bahamas had not suffered a direct hit, it was not totally spaced. The southern islands experienced serious damage. Additionally, tornadoes inflicted considerable damage on the northern islands of Bimini and Grand Bahama. Highlighting the election of a new Government for his country the past May, the Minister spoke on its intention of creating the first fully green island in the region, out of the destruction of Ragged Island, which became uninhabitable. “For the first time in its history, The Bahamas evacuated whole communities to safe quadrants ahead of Hurricane Irma. What’s next: wholesale evacuation of the entire Caribbean?” he asked, calling on the international community to act fast and in a co-ordinated way. In his address, the Foreign Minister also highlighted the “need to re-evaluate of the measurements used to determine economic well-being” in the country, to allow them to receive development assistant.